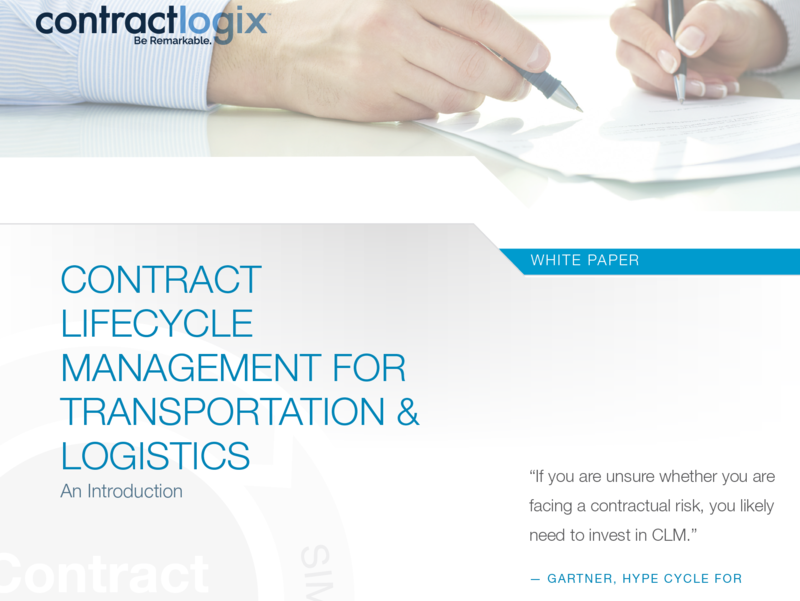 Contract Lifecycle Management for Transportation & Logistics. Professionals in the transportation and logistics industry face a variety of daily challenges. Depending on your niche in transportation you may be dealing with a staffing shortage, high fuel costs, equipment repairs, and compliance with seemingly endless regulations, putting you under tremendous pressure to eliminate inefficiencies that cost your company money. One process that is inherently inefficient when done manually is contract lifecycle management (CLM). This, combined with the need to show compliance with regulations, such as: HOS rules, CSA initiatives, and EPA rules, is moving organizations like yours to seek a solution that will simplify and streamline their CLM process.